Organize your entryway with a stylish, multifunctional hall tree! Its versatile storage is like a walk-by closet, making it so much more than a coat rack. Aged metal and distressed fir with scraped blue and yellow paint markings offer a charming rustic look. 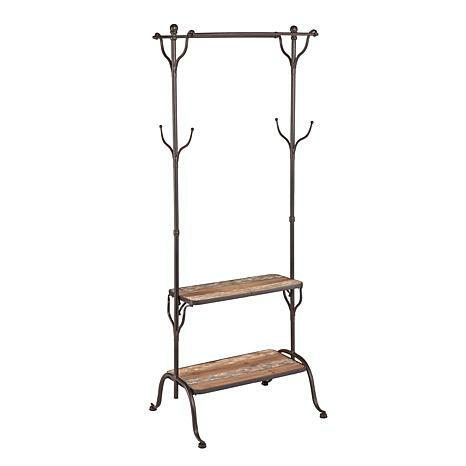 With four hooks, two hanging bars and two shelves, it masters the art of essentials storage and is a must have for the entryway, mudroom or dressing area.